Are These the Specs and Prices of the 2019 Toyota RAV4? After Toyota Motor Philippines announced its arrival on the second week of February, more details have finally surfaced on the all-new 2019 RAV4. Avid readers will remember that a while back, I tried playing Product Planner and guessed what sort of specs the RAV4 would receive for the local market. Now, if this leaked document is true, it seems I got it mostly wrong. This is perhaps the clearest reason as to why I’ll just stick to my job as a motoring journalist. There will be 3 variants. Replacing the current monikers of “Active”, “Active+”, and “Premium”, Toyota Motor Philippines will be introducing a naming system close to the US market. Thus, the 2019 RAV4 will be available in the “LE”, “XLE”, and “Limited” trim levels. Toyota Motor Philippines is discontinuing the 4x4 variant for 2019. This makes the fifth-generation RAV4 (XA50) sport a purely 4x2 set-up—the first time it has ever happened locally. In a surprising move, the motivation will be provided solely by one engine variant: a 2.5-liter 4-cylinder engine. Unlike what we’ve seen in the Camry though, this marks the debut of the all-new direct-injected Dynamic Force engine. This A25A-FKS is good for 203 horsepower. Oddly enough though, this engine is rated for Euro 6 emissions standards which could have for expensive trips to the gas station (the only fuel rated for Euro 6 is Petron Blaze 100). Whether Toyota Motor Philippines has managed to tweak the emission control for our Euro 4 fuel remains to be seen. The sole transmission is an 8-speed automatic featuring Direct Shift technology. LED headlights are standard across the line-up and so are LED daytime running lights. Both the LE and XLE models get 17-inch alloy wheels, but the Limited does get larger 18-inch wheels. An Electronic Parking Brake with Brake Hold function makes its way to the RAV4 lineup for the first-time. For infotainment, all models get a 7-inch Display Audio system with CD/DVD/MP3 capability and 6 speakers. It will also has Bluetooth, Smartphone Mirroring, and K2 Technology. No mention of Apple CarPlay or Android Auto though. Differentiating the 3 variants, the LE makes do with manual adjustment for the seats, manual air conditioning, and a standard twist-key ignition system. Moving up to the XLE adds an auto-dimming rear view mirror, smart keyless entry with push-button start/stop, and dual zone automatic climate control. The XLE also gets front and parking sensors and a back-up camera. The Limited ups that even more with powered front seats with memory, front seat heaters, a panoramic sunroof, and a Qi wireless charger. Finally, here’s the most awaited part: the prices. The 2019 RAV4 features a substantial increase in retail price compared to the 2018 model. Prices are up anywhere between P 188,000 to P 241,000 depending on the exact variant. The 2019 RAV4 will be priced at: P 1,638,000 for the LE, P 1,870,000 for the XLE, and P 2,188,000 for the Limited. Opting for the White Pearl adds P 15,000 as usual. Hat tip to Mr. J. Pua. It would be simpler to just remove the Gasoline Particulate Filter (GPF) in PhDM Rav4 to reduce the potential headaches of GPF recharging problems similar to DPF issues found in some diesel cars. After all we are not yet Euro 5/6 here in the PH and Euro 4 is the most common fuel available. Hopefully this model will push other manufacturers to bring in more price competitive Chinese crossovers like the Kia KX5 and KX7 or the VW Tiguan L which is generally good for us consumers. If the new RAV4 will indeed have that new 2.5L I4 and 8-speed auto, this will make the new Camry even sadder. Direct shift technology is only present in the 2.0L CVT model. It basically adds a first gear when starting from a standstill when load is heaviest, and CVT takes over afterwards. The words, "Direct Shift" is written in the memo we got, though. 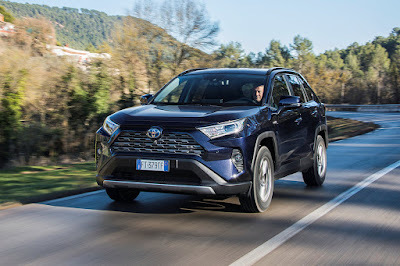 Toyota RAV4 is a good vehicle, however Kia Sorento would be a good alternative over this with cheaper maintenance and more original parts in the market.